Art-writing at its most useful should share the dynamism, fluidity and passions of the objects of its enquiry, argues Marina Warner. In this new anthology of some of her most compelling work, she captures the visual experience of the work of several artists - with a notable focus on the inner lives of women - through an exploration of the range of stories and symbols to which they allude. Metamorphosis features vividly in the imagery, stories and media of the art that Warner has chosen to write about: in connection with animals in the work of Louise Bourgeois, for instance; with the Catholicism of Damien Hirst; and with performance as a medium of memory and resistance in the installations of Joan Jonas. Rather than drawing on connoisseurship, the author's approach grows principally out of anthropology and mythology. 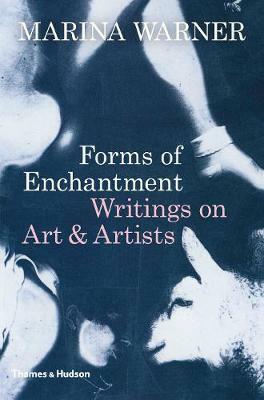 She argues that art and aesthetics increasingly fulfil a magical social function - a principle that runs through these writings to give the collection a quality that is polemical as well as coherent. With an introductory essay and illustrations throughout, Marina Warner investigates how artists noted for their treatment of disturbing, uncanny material have reached beyond the visible, to express interior states. Truly inspiring, her writing unites the imagination of artist, writer and reader, creating a reading experience parallel to the intrinsic pleasure of looking at art. Marina Warner's study of the Arabian Nights, Stranger Magic (2011) won the Truman Capote Award for Literary Criticism and the Sheikh Zayed Book Award in 2013; in 2015 she was awarded the Holberg Prize in the Arts and Humanities and was made DBE. She is a Professor of English and Creative Writing at Birkbeck College, a Fellow of the British Academy and President of the Royal Society of Literature.